Duke of Wellington (1769 – 1852) Anglo-Irish military commander and British politician. 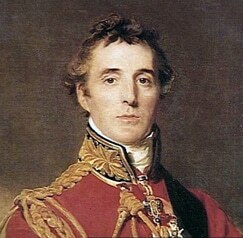 Wellington was the commander of British forces that defeated Napoleon, at the Battle of Waterloo – effectively ending Napoleon’s dominance of Europe. He later served as British Prime Minister. Arthur joined the army in 1787, fighting against the French in Flanders, and in 1796 was posted to India. In India, he proved an able commander, winning important battles in the Mysore War against the Tipu Sultan. Against overwhelming odds, he achieved a remarkable victory at Assaye in 1803. This successful military campaign helped to strengthen the British position in India. Wellington was a tough and uncompromising military officer; he did not wince at carrying out the strictest discipline in his army. He was somewhat suspicious and condescending towards the ordinary poor soldiers in his army – once famously describing them as the ‘scum of the earth’ – after the battle of Victoria. However, at the same time, he did care for his men’s welfare and sought to minimise casualties if possible. His military successes did endear him to his soldiers, who displayed great loyalty. In particular, Wellington was known for his careful and meticulous preparation, which meant his supply lines could always keep up with the needs of his troops. It is reported Napoleon admired the qualities of ‘caution and courage’ in his adversary Wellington. In turn, Wellington had great praise for Napoleon as a strategic planner. When asked what he thought of Napoleon, Wellington replied. On returning to England, he was knighted and made a Member of Parliament; because of his Irish roots, he was appointed the chief secretary for Ireland. But, his political career proved short-lived. In 1808, he returned to the army and took control of the Allied forces fighting Napoleon’s army in Spain. At the time, Napoleon was at the height of his powers, winning a series of devastating victories leaving him in control of much of Europe. 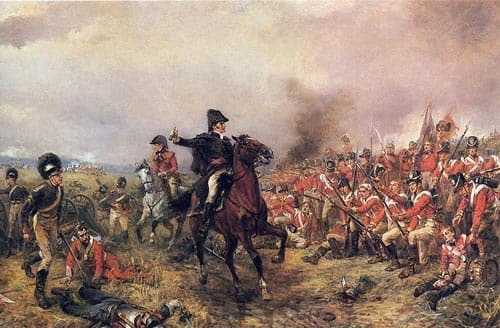 However, after repeated battles between 1808 and 1814, Wellington, with the help of Portuguese and Spanish forces, helped to force France to withdraw from the Spanish peninsula. 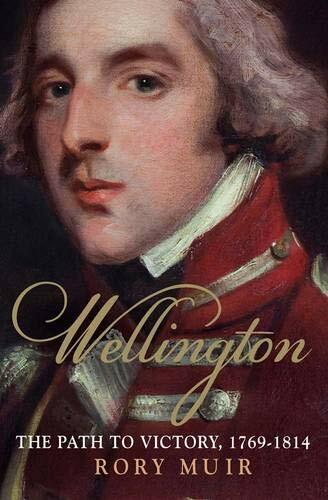 Wellesley returned home a hero of the Napoleonic wars and was created a Duke of Wellington. After being forced to abdicate in 1814, Napoleon was exiled from France to the island of Elba. But, a year later, Napoleon made a dramatic return to France and immediately began marching on Wellington’s army and other allied forces in Belgium. In 1818, Wellington returned to politics, gaining a post in the Conservative government. In 1828, he reluctantly accepted the post of Prime Minister. His political style matched his military style. Strict, authoritarian and isolationist in foreign policy. He did force through the Catholic Emancipation Act 1829 – which helped to remove discrimination against Catholics. He was opposed to any parliamentary reform and extension of the electoral franchise. His tough stance brought him many enemies. He gained the nickname of ‘Iron Duke’ A fitting epitaph for such a tough character; and more literally, he had barred the windows in his London house to protect against protesters smashing his windows. He served as Prime Minister for two years until 1830. From 1834, the Tories returned to power, but he turned down the post of Prime Minister preferring to become foreign secretary. He retired in 1846 and died on 14 September 1852. Citation: Pettinger, Tejvan. “Biography of Duke of Wellington”, Oxford, UK. www.biographyonline.net. 16th May 2010. Last updated 13 February 2018. Great military leaders – Famous military figures and leaders. Includes Genghis Khan, Saladin, Alexander the Great, Napoleon and Erwin Rommel.